Backed by more than 25 years of industry experience, I work hard to complete all painting projects to an exceptional standard as well as ensuring you receive a bespoke service. 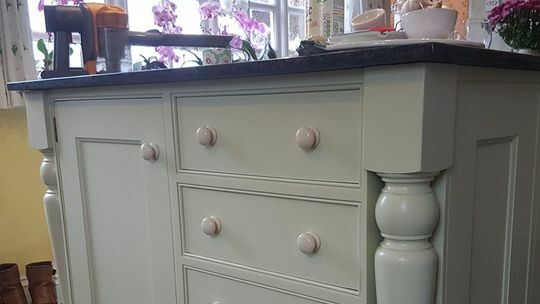 No job is too big or too small for me, and I am more than happy to offer any advice regarding the most cost-effective ways to improve the appearance of your kitchen or furniture. Throughout my 29 years in business, I have created a respectable name for myself, and a lot of my work originates from recommendations due to the outstanding customer feedback I receive daily. I am a member of Traditional Painter Group ™, which is an invitation-only group of 21 kitchen painters that are at the top of their game. Contact me in Newhaven, East Sussex, for additional information about my competitively priced painting services.